HS Doors supply Industrial Door Installation across Kent, Essex, Sussex, London and the South East along with installing, servicing and maintaining all types of pedestrian and traffic movement doors, gates, barriers and shutters. 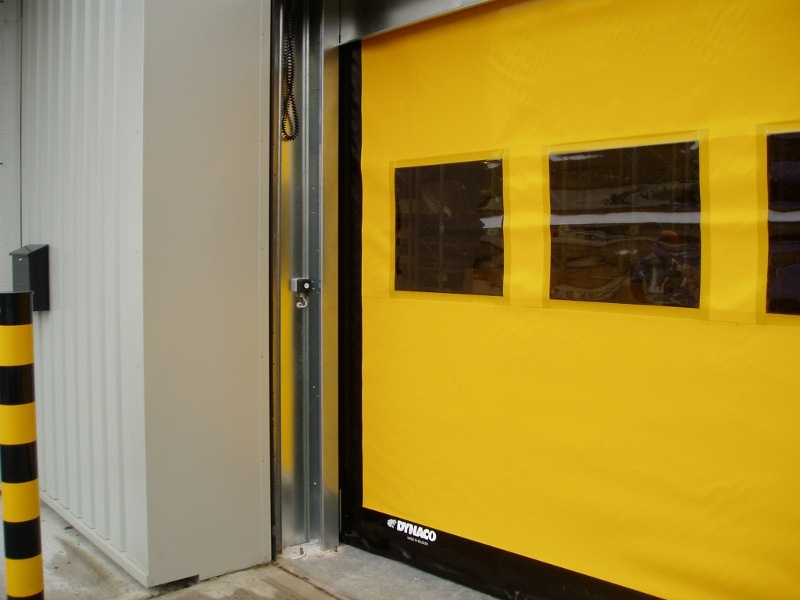 If you are considering new Industrial doors to a new building or upgrading existing equipment, HS Doors believe that installing the right door with the correct site specific controls and safety devices is key to minimising damage and downtime to the door thus safeguarding your day to day operations. If you are already up and running with existing equipment then we are only a phone call away from carrying out an emergency repairs or attending to planned servicing and maintenance. HS Doors offer our services to any manufacturer’s equipment all across Kent and the South East. We can all take comfort in the fact that our growing portfolio of customers based in Kent, has been fuelled mainly by recommendation and referral starting at our original customers from the early days. Those customers who to this day still only call HS Doors for their door related projects and problems. We also take pride in the fact that our ever growing portfolio of clients and customers is breaching further than just Kent and into Essex, Sussex and London, widening our reach across the South East. At HS Doors we all believe that it really is all about you, the customer. If you were not so passionate about your business and its continued success through operation then you would simply make do with any old door company and its mediocre level of service. However, because you demand good value for money and excellent service backed up with continued customer care, mediocre doesn’t really belong anywhere in your organisation. At HS Doors the story begins with our valued, committed and trusted in field technicians. Due to their vast years of door industry experience and continued product training they are instrumental in maintaining the long term customer relationships that HS Doors has built up over the years since its humble beginnings. For all the ins and outs of your business, it is really that simple. From the traffic barrier or gate securing the perimeter of your premises, through the automatic entrance doors and round to the large warehouse door on the loading bay. Secure Automatic Doors Systems, Roller Shutters, Traffic Bollards, High Speed Doors, Overhead Doors. High Speed doors , Overhead doors, Fire Shutters, Automatic doors, Sliding Doors, Revolving Doors, Access Systems, Intercom Systems. Roller Shutters & Grilles, Fire Shutters, Steel Doors, Automatic Doors, Sliding Doors, Hinged Doors, Shop front Doors, Door Closers.